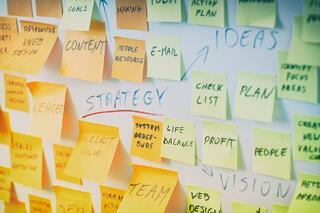 Is Your Business Planning or “Strategically” Planning? You might be thinking… “This is the year that my business really focuses on developing the best strategic growth plan.” Then the process starts and the questions surface… Am I developing a strategy or a plan? What’s the difference? If they are different, does my business need both? I’ve worked with a lot of small and mid-sized companies who look to develop a strategy plan that drives action in every functional area of the organization. 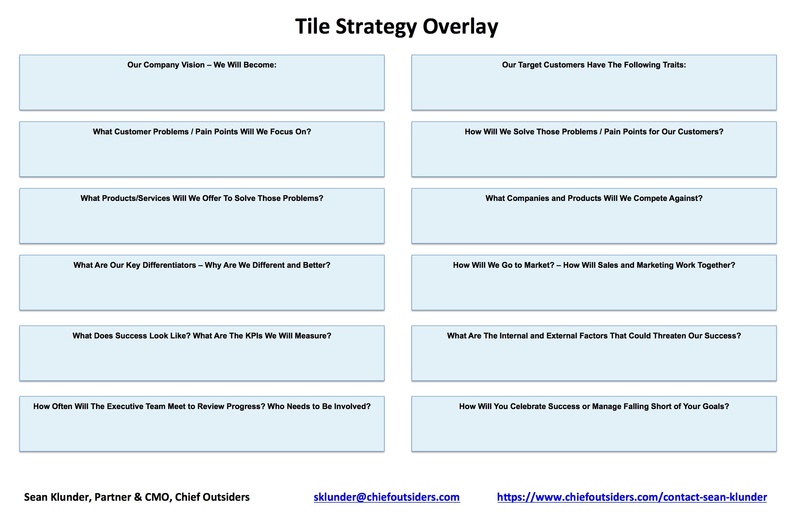 While there is no “one-sized-fits-all” strategic planning approach, I want to provide a helpful process that has worked well when helping companies along the strategic planning journey. Most of us have heard the phrase… “Failing to Plan is Planning to Fail”. It’s a popular phrase that’s been kicked around in business for a long time. I slightly modify the phrase when working with executive teams… “Failing to Strategically Plan, is Planning to Strategically Fail.” What this means to me is that a plan that is not based on a strategy is really just a tactical roadmap of activities that keeps us active and busy throughout the year. I hear a lot from businesses that their marketing and sales teams are really busy, but not seeing much new business resulting from those activities. The above is a classic example of a plan without a strategy. I call this the “spray and pray” approach. Your ultimate goal should be for marketing and sales to do and spend less, with a higher return on prospect to customer conversion. Let’s take a look at a simplified version of a strategic planning approach. To put it simply, this is the “why” does your business exists? Phrasing this toward your market and customers is critical rather than your company. Your business does exist to make profits, create a positive work environment for your employees, and sell products and services… I agree. But, your business objectives are about the problems you solve for your customers. If your business didn’t exist, how would your customers solve those problems? Once your market-facing business objectives have been clearly defined, it will become easier to translate those into outbound marketing activities that will drive interest and high-quality leads. What are the business success goals you’re striving to achieve? These could be expressed in many different ways. The obvious one is financial… “We will achieve 15% growth over the next fiscal year.” You may also choose to express goals by profit, revenue per customer, and sales by market segments, or even by product or service area. Setting realistic business goals puts a forward looking target over a specified period of time on paper for your organization to own, be held accountable for, and work toward as a team. Your business strategy is the “how” you will achieve your targeted goals. This step in the strategic planning process outlines the areas of your markets, business, and products/services you will focus on to drive the growth outlined in your business goals. Let’s illustrate with an example… You’re a technology company that sells headsets for mobile phones for business use. Your business objective might be to help business professionals harness the power of mobile technology to conduct business faster and easier using hands-free technology. Your business goals might be to achieve 20% re venue growth by selling more than 1 million units to achieve a 35% profit margin. Now we get into your business strategy… the “How”. An example would be that your company is planning a new product launch of the next generation headset. Perhaps you will target B2B companies with over $500 million in annual revenue that have an outside sales team with more than 100 sales representatives. By targeting this segment, you know that a single sale could result in a large bulk order of your products. You also know that sales teams are heavy users of mobile headsets with a high probability of repeat business. Your business strategy is an important step in driving the next and final phase of your business plan, your tactics. Based on all the information in the above three sections, you’ll now need a roadmap of activities that will drive your organization to achieving its goals. Look around your organization by functional area. Who needs to plan and participate in the tactical execution of your plan? Your sales department might need to hire or move sales people around geographically to effectively target your prospects. Your product management group may need to ensure that the new headset has the features necessary to effectively convince your targets that your product is the most effective. Your marketing team needs to outline the key differentiators, channels that will be used, collateral needed, and amount of leads necessary to achieve your business goals. What KPIs will be used to measure success? The business tactics section of your plan is a detailed outline of activities and milestone dates for each functional area. Effective strategic planning for your business keeps the entire organization aligned toward the same goals and closely ties your tactical plan to your objectives. To help you answer some key questions when beginning your strategy planning, I’ve included an important document that I use with clients. I call it the Tile Strategy Overlay. It’s been particularly useful as an activity with management teams before formalizing a strategic plan and tactical execution calendar. Completing this document together as a team will hopefully generate some hearty, yet healthy, dialog. But, when completed, your management team will be aligned and you’ll be poised to have a successful strategic planning process. A specialist in transforming companies, products and marketing from “analog” to “digital,” Sean Klunder has gained a reputation for developing innovative growth strategies that disrupt markets and create more distance in competitive differentiation. Klunder has leveraged digital strategies that have married e-commerce, social media, SEM, SEO, mobile marketing and display advertising into both short-term visibility and long-term ROI. 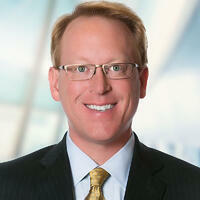 Klunder’s formula led to successes at Korn Ferry International, a recruiting and consulting organization; and World Book, a Berkshire Hathaway company. When not helping Chief Outsiders’ clients navigate their own change management programs, Klunder inspires the next generation of digital marketing experts as an instructor at the Lake Forest Graduate School of Management.